Know the elevation of your home! Are you in a surge, flood and/or evacuation zone? Check tie-downs for rust or breakage. Residents of mobile homes must evacuate when told to do so! Trim trees, shrubbery, and dead limbs, especially ones close to your home. Repair or replace broken or damaged fences. Shredded bark is preferred instead of small gravel or stone bedding. Inspect the roof for loose tiles, shingles or debris. Consider replacing old or damaged shingles with new ones rated for hurricane-force winds. Check for and/or install hurricane clips to secure roof trusses to side walls. Reinforce double entry doors with heavy-duty foot and head bolts. Use a security deadbolt with a one-inch minimum bolt length. Doors may be shuttered, but one entry must be left easily accessible. If possible, install tested/manufactured hurricane shutters. Inspect existing shutters to ensure they are in good working order. Alternative: Use 5/8” or greater exterior grade plywood secured by 2 1/2” screws and/or special clips. Obtain wood and fasteners, cut wood to size, pre-drill holes and place anchors on homes. Store shutters or plywood lying flat to avoid warping when not in use. Identify and protect vital records. Backup and store key files off-site. Protect electronic equipment from possible water damage. Have extra cash and blank checks in case extra money is needed after the storm. Identify a safe room for employees who must remain in the building. Give employees enough time to secure their homes and families. Develop a 24-hour emergency contact with phone numbers of key employees. Consider paying employees before they leave to prepare their homes. Set up telephone numbers for employees to check in and receive company information. Keep a written inventory of your possessions. Take photos or videotape of each room and the exterior of your home to keep with your inventory. Gather important documents and insurance cards and policies. 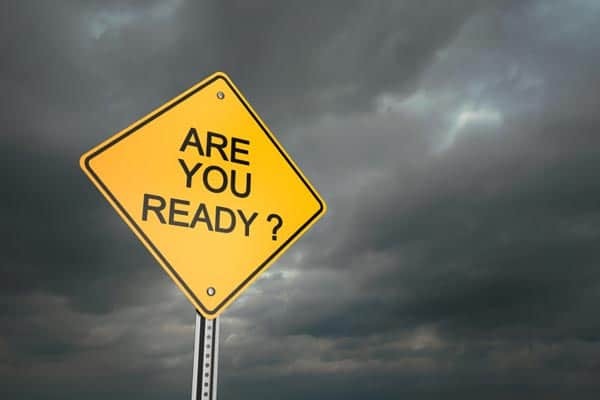 Unless they are stored in a safe place, take them with you if you evacuate along with an inventory of your possessions, including receipts and photos or videos. Know what your policy covers. Check your auto policy to see if you have comprehensive coverage “other than collision.” Comprehensive coverage pays if a storm, fire, or flood damages your car. Find out how much coverage you have for “additional living expenses” to cover lodging, food, and other expenses if you’re forced to vacate your residence after suffering a covered loss. Review your health coverage. Find out if you’ll be able to receive non-emergency care from out-of-network providers, if needed, without accruing additional out-of-pocket costs. Consider purchasing flood, wind and hail coverage. You may have to buy separate policies to cover wind, hail, and flood damage. Homeowners, farm and ranch, renters, windstorm, and condominium policies do not cover damage from rising waters. Consider renters insurance if you don’t have it. If you rent an apartment, duplex, house, or townhouse, you may need renters insurance to protect your belongings. Know your policy limits. Your limits may be too low if replacement costs have risen because of new additions, improvements, or inflation. Contact your insurance agent or company promptly. Keep a record of all contacts you have with your company. Be prepared to answer questions about the extent and severity of the damage. If your home is not insured, contact your local Red Cross or FEMA Disaster Recovery Center for assistance. Call FEMA at 1-800-621-FEMA (3362). Make a list of your damaged property. Photograph or videotape the damage if possible. Don’t throw away damaged items until your insurance adjuster has had a chance to view them. If there is partial damage to your home, take reasonable and necessary repairs to protect your home and property from further damage. Cover broken windows and holes to keep rain out. Don’t make permanent repairs until instructed by your insurance company. Keep a record of your repair expenses and save all receipts. Listen frequently to radio, TV, or NOAA weather radio for bulletins and forecasts of the storm’s progress. Double check items in your emergency supply kit. Make sure you have supplies to survive on your own for at least one week if you plan on staying. Board up windows (if shutters do not exist) in case storm moves quickly and you have to leave. Store lawn furniture and other loose, lightweight objects, such as garbage cans and garden tools. Get plenty of extra cash in case power goes out and ATMs do not work. Garage or store vehicles that are not being used. Follow instructions issued by local officials. EVACUATE IMMEDIATELY IF ORDERED TO DO SO! Turn refrigerator and freezer to lowest setting. Turn off utilities if ordered to do so. 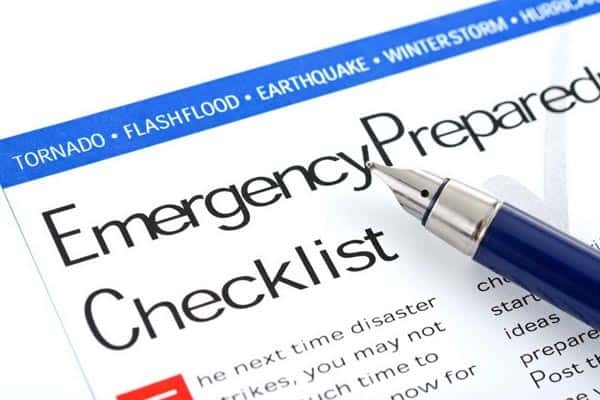 Notify family members of your evacuation plans. Lower water level in swimming pool by one foot. Board up remaining doors and brace garage door. Follow instructions from emergency managers and be prepared to turn off utilities if ordered to do so. Board up remaining doors, brace garage door and remain inside. Stay away from boarded-up windows. Beware of the calm winds in the eye of the storm and do not venture outside. Some of the strongest winds may occur shortly after the eye passes.